Sophie Turner has slammed a racist meme on social media. 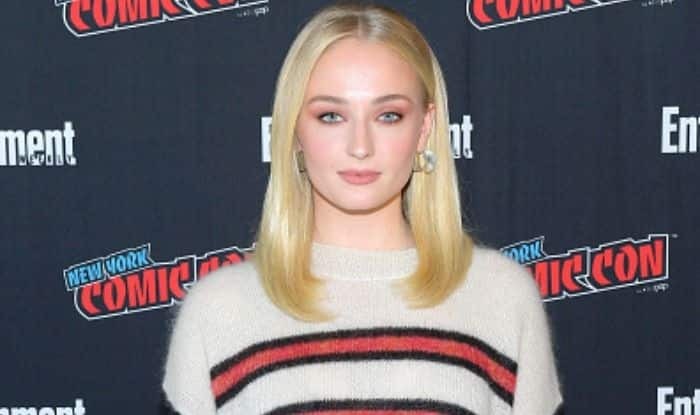 Actress Sophie Turner, who is seen playing the role of Sansa Stark in Game of Thrones, has slammed a racist meme on social media. It featured her character and thus, she decided to put end to it. This is known to all that people on the internet always try to come with funny memes but sometimes things turn out to be offensive. As soon as she saw it, she took the right decision of calling it out. She is being praised by her followers. Sophie took to the micro-blogging site Twitter and wrote, “Ew. Please don’t use me to promote racism.” The account that made the tweet has been suspended by Twitter and it had around 600 followers. Sophie attended Priyanka-Nick’s wedding and looked gorgeous in Indian attires. She became a part of all the Hindu rituals and tradition. Game of Thrones is one of the popular series which won many awards. Fans are eagerly waiting for the eighth season of the show. The teaser sky-rocketed the expectations and it will be interesting to see what makers have in store for the fans. Sophie will also be seen in X-Men: Dark Phoenix. The movie will hit the screens later this year. Keeping the film in mind, the actress got inked recently.